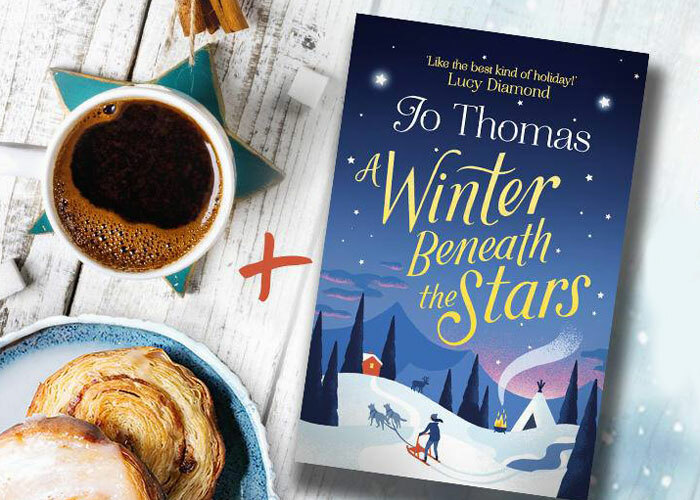 Winter Beneath the Stars is a book set in Sweden’s most northernly areas including “Tallfors” and Swedish Lapland. I had to go and meet the author to get some tips about Sweden and her experiences of researching the literary locations, writing such a glowing novel and placing her characters in some very testing situations. 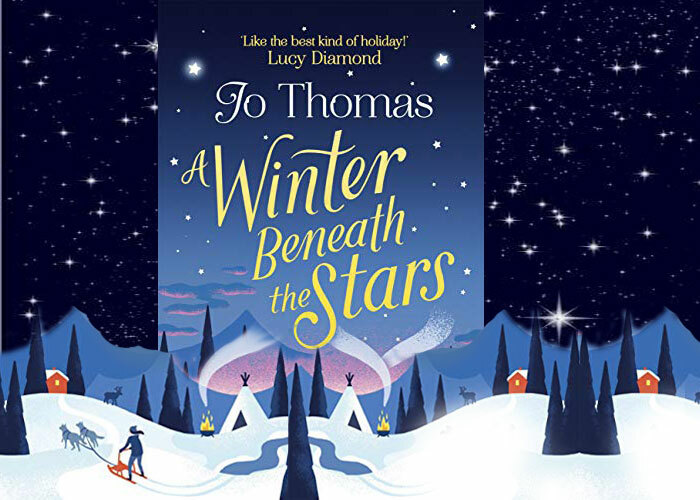 The cover evokes the Northern Lights so what better guide to showcase them, than Jo Thomas! 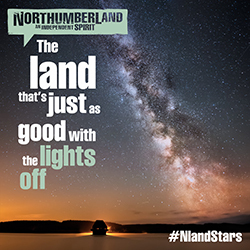 IF you really would love to go to see the Northern Lights, perhaps try your hand at dog sledging, then this is the place to do it! What is special about the locations you feature in your book? Tallfors for example? I like to visit towns with food at the heart of them. I think once you discover the food of a place, you discover the history, culture and people of a place. The towns and villages in my books are all places that hopefully you’ll want to return to. I wanted to write about Swedish Lapland and started reading about the Sami people and reindeer herding. I watched a wonderful DVD, called The Sleigh Ride. It’s called slow television, so you just experience the journey, and all it’s sights and sounds. I then discovered a wonderful Sami run place on line and Katie Fforde and I went off on a fantastic snowy research trip. Did you visit the area in question for A Winter Beneath the Stars and what did you find out? I certainly did! It was like arriving in Narnia! Snow falling like glitter. Nothing beats visiting a place to discover how it feels and smells. Have you been to Sweden before? Yes, I first visit Sweden when I was fourteen and stayed with family friends. I loved the research! The coffee and cake was amazing! Especially the coffee made over an open fire by the side of a frozen river, sat on reindeer hides! It's goodbye from me and goodbye from her @KatieFforde! What about dog sledging? Are you an expert now 😉 ? The dog sledding was amazing. Although, racing reindeer was a pretty amazing experience too! I loved all the research for this trip. We did a photography trip, with a Sami guide. Exploring the forest and the peace the deep snow brings was amazing. We travelled across the ice road, on a sled behind a snowmobile, and actually heard the ice cracking in place where it had melted a little. The husky ride through the forest was amazing and feeding the reindeer a real experience. Always make sure your phone is charged so you can take photos and write up your notes at the end of each day, so you remember what you’ve seen. What did you think of the Northern lights? I loved the northern lights! I’ve seen them mostly on trips to Iceland. They are like dancers arriving onto the stage to perform and slowly leaving again when their performance is over. What will I take from this novel ? Light more candles. Candles bring in the light and make everything feel better. They make anywhere feel like a home. So many thank yous Jo for a brilliant insight into your book’s locations!